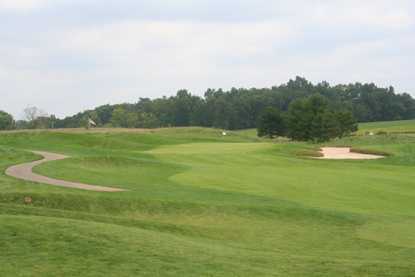 Calderone Golf Club in Grass Lake is popular for being one of southern Michigan's most popular courses. 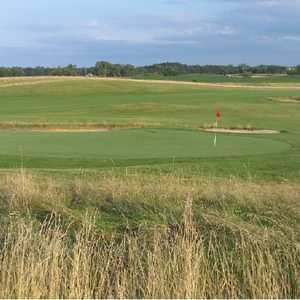 The layout offers an interesting variety with holes ranging from Scottish-style links to traditional parkland. You'll feel like you're getting several golf courses in one with heather-lined holes reminiscent of the British Isles, holes framed with trees that would fit in at Pinehurst, and several greens that will make you feel like you're playing at the Masters in Augusta. 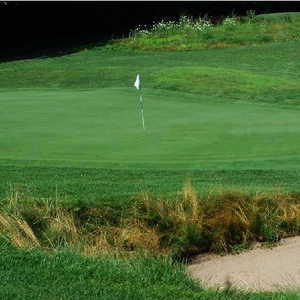 You'll also come across a variety of bunkers, from white sand to waste bunkers as well as unique grass traps lurking along the sides of the putting complexes. 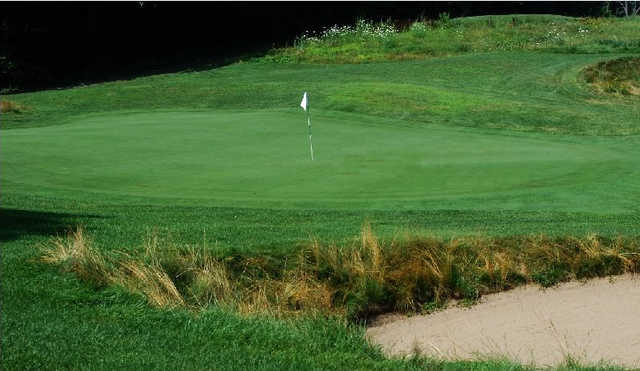 Calderone Golf Club sprawls across dramatically undulating terrain, providing undulations around the fairways and greensides that make for an interesting round. There are many opportunities to find the landing zones off the tee, but scoring on the undulating putting surfaces bordered by natural grass, mounding, and bunkering will be much tougher. Dress code: Shirts, pants or shorts. Won't be back. Greens were beat up & missing grass in many parts of the green. So were the fairways. Par 3 tee boxes were horrible. We were told over the phone they would honor senior rates on Sunday morning. When we showed up they weren't standing by what they said. Charged us full price under bad conditions. We had 16 golfers & drove over 60 miles. Played there at least twice a year. Never again. Very nice variety of golf holes. The front nine alternates between scoring opportunities and brutes. The back nine begins with a monster par 5 and par 4. 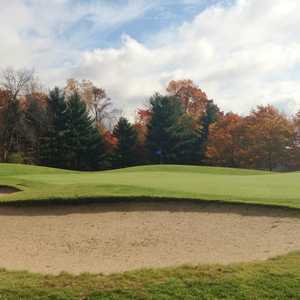 Rolling terrain and receptive greens make this course fun to look at and play. Last played this course late on a Saturday morning, no starter, no ranger on the course, and the round took 5.5 hours to play. Multiple groups packed it in and left the course without finishing. Yes, this course is a bit remote for most golfers. But if they want play on the weekends, they need to staff the course. Course is a 4+, staffing only a1+. This course is really great. Was very pleased went I went there. I was with a group of three and because the front nine was busy they only charged us for one person! Will definitely be going back. last post might wanna relax... golf courses have leagues. a lot of their revenue. this course is awesome!!! I live even further away now unfortunately. But I used to play few times a year. Challenging and unique.. Love It!! If I were to rank the course it would be an easy 5 stars but the truth is that Nick is the pro shop is a gong show. I have now played out there twice and will NEVER play there again. The first time I played there we made the turn and nick sent off 2 groups in front of us on 10. Who does that?!? And so I talked to him and he seemed like a knowledgeable golfer and he gave us free passes to come back. So today I go back out and Nick told a 4some to tee off on 10 in front of us AGAIN because there were leagues on the front nine. Really?!?! I promise I will not ever be back to this course. We quit after 14 holes because they were so slow. So if you want to enjoy the view during a 4 hour back nine when Nick sends people off in front of you, this is your course! They need someone that knows golf and how to run a course in the pro shop not this chump. I love this course. Plenty of challenge on a really interesting layout, yet still playable. And for the price it's unbeatable. Nice course, tee to green pretty well maintained. Definitely some challenging holes. The first hole is a decent par 5, I think one of the best starting par 5's I've ever played. 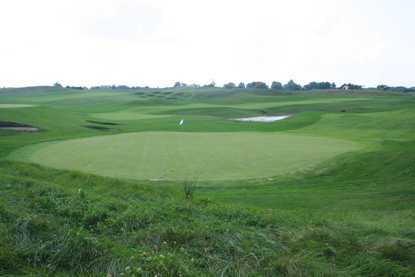 Number two is a long par 3, usually playing straight into the wind, but softened a bit by the large green. Then you get to 4, a great, tough par 4. I could keep going, but the gist of it is that there are alot of really nice holes on this course. 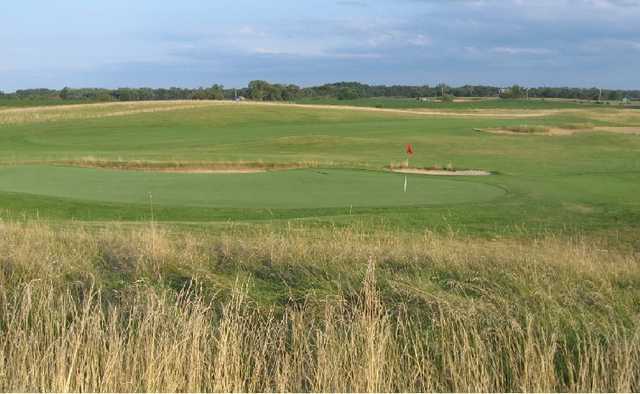 Lack of yardage markers is a minor short coming, and the clubhouse is ok, but its a great course to play for the price and you can judge for yourself. If you live within 45 minutes, make the drive and play it. 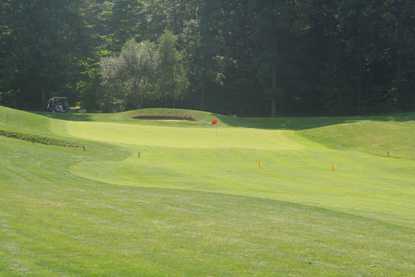 Really pretty course to play in the fall, and the leaves are not too bad as much of the course is open. Excellent and affordable course with every hole individually framed into the course. 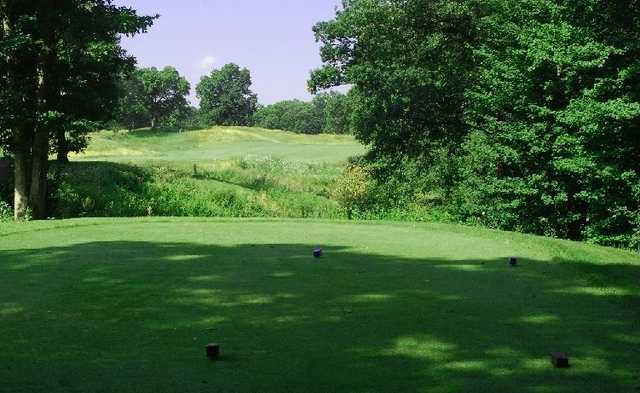 Unlike your typical public course where you can generally see 2 or three other fairways and greens from the one you're on, this one allows you to focus on the one you're playing with little or no conflict with other golf pairings. Well maintained and challenging. This is a great course. A little of everything! Kept in great shape at a fair price. A challenge for all. Always enjoy going back again for another round. Worth the 45 minute drive from Detroit area. 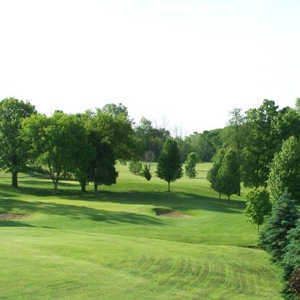 Just golfed this course today with 2 of my Brother's and 3 nephew's. Course was fun to play but very hard to navigate. NO directions to the next tee. Yardage makers were hard to find unless your were in the middle of the fairway.